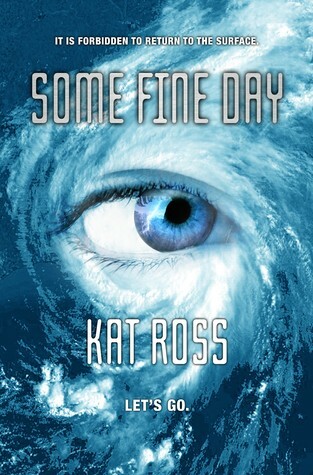 ‘Some Fine Day’ by Kat Ross is a standalone dystopian, featuring a strong female character as our lead – Jansin Nordqvist – daughter to a two-star general and about to graduate from the Academy – the Academy that trains up Black Ops fighters. Bright things are in her future. She has an equally bright-future boyfriend who her parents approve of, and soon they’ll receive their assignments, and everything will change. To celebrate, her father has somehow wrangled a trip to the surface – because in the future, civilisation live underground, thanks to the hypercanes that tear apart the world above. Those that could be evacuated were, to a new life down below where everything is synthetic and artificial, whether it be views out the window or weather, and the concept of ‘day’ and ‘night’. I read this book within a day, I simply couldn’t put it down. It’s a quick read, ready to trick you at any corner as you find yourself rollicking through the situations Jansin is flung into and almost find yourself comfortable, before you realise you’re not even halfway through the book yet, which, yes, means more unrest, and more situations! One of the more interesting parts of this novel, I found, were seeing how the world has progressed. We have Nu-London, an aspect I would have loved to see more of. I hope there’s another book in this series, as standalone as this is currently. There’s certainly room for another book to see what happens next. The best part of this book is having a main character who can hold her own in many situations. She’s brawny but she’s also intelligent. She’s rough, but she’s also caring and careful of those around her. This is a book lovers of Mira Grant’s work will enjoy. A series that takes science and disease into consideration, and gives us something thrilling.